If you are fortunate enough to live in AZ, CO, GA, ID, KS, MT, NM, NV, OK, OR, SC, SD, TX, UT, WA, WY I have an amazing deal on produce for you from Bountiful Baskets Co-op. You can get a laundry basket full of produce each week for only $15. 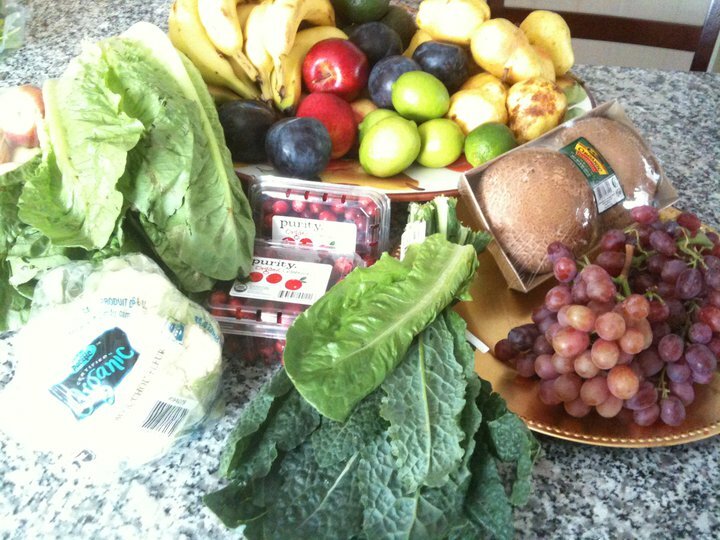 Organic produce is only $25 per basket! Each Monday at noon local time (10:00 for Utah) the site will launch with offerings. Select your state and the site location where you want to pick up your produce up from. Add a basket (up to 3) and any extra packs they are offering that week to your shopping cart and check out. Saturday morning pick up your basket at designated time & location. GO HERE TO GET A LOG IN. I suggest getting your log in and mosey around the site a bit. Then on Monday~~~Get on the site quickly and place your order. It’s live inventory, and some sites sell out fast. I have been singing the praises of Bountiful Baskets.org for a year now. Reader Comments Via Email: When I was at Walmart this afternoon I priced all the different fruits and Veggies that were in the baskets today. If I had purchased all this product at Walmart it would have been $43.27 Because I volunteered I was able to select a few extra’s (lettuces and 2 artichokes) which would have been $6.68 more. Total of $49.98. Really amazing! I love it! Thanks for introducing it to me. If you have experienced Bountiful Baskets, please share with our other readers your thoughts. My basket of organic contained all this! We are interested in becoming partners with bountiful baskets for Pahrump. This community is in need of healthy foods and food savings. I am a RN working at the community hospital. The hospital is willing to give us the space to set up the delivery program as well as nurses and staff participating in the program.Can you help us start this program? This would be great in Pahrump! Bountiful Baskets has a place on their website about how to participate in their program. I don’t think it is all that difficult to start up. Here is the link for starting a Bountiful Basket site. It really takes going to one of the locations and talking to the manager of it and they will get you set up. Do let me know how it goes. I think Sandy Valley could use a site too!